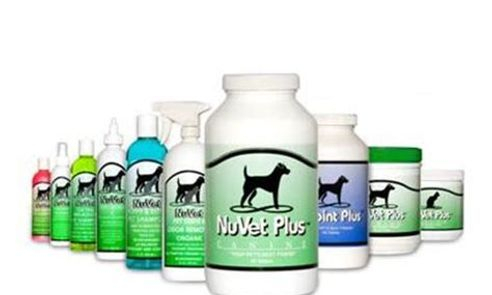 Since discovering NuVet, I’ve had a couple of first hand experiences with their products that have convinced me that they are more than just a plain old regular supplement which is why I continue to give it to my dogs and recommend their products to my puppy families. The first experience was soon after I had discovered NuVet many years ago. I had a lady contact me looking for a puppy. She had just found out days prior that her current Golden had cancer and was given only a matter of days to live. As we talked, she expressed that she was desperate to find something to help prolong his life for just a little while or at least help his quality of life in those last days. He didn’t have much energy and was not eating. 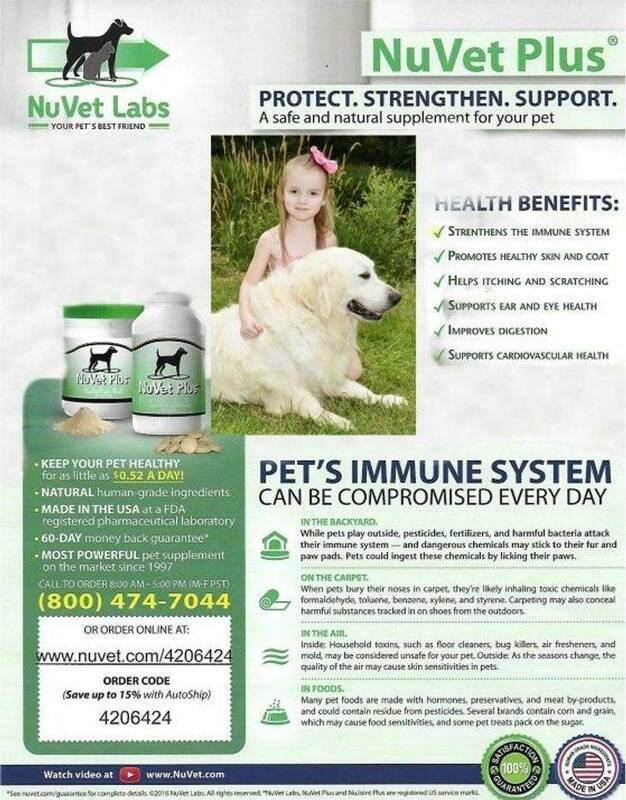 I knew NuVet was good for giving energy and boosting the immune system, so I had mentioned it to her and said I’d contact them directly for her to see what dosage they would recommend for a dog with stage 4 cancer. Their recommendation was to give him 3 wafers a day, the lady ended up ordering NuVet with rush shipping that very day and started him on NuVet. She had placed a deposit on my just born English litter, so we kept in contact for the next 8 weeks until she came to pick her puppy up. At which time she had brought her Golden with to pick up their new furry family member. She couldn’t thank me enough for directing her to NuVet. Not only had it helped her dog’s appetite and gave him energy, but he was still there with them 8 weeks later despite the timeline their vet had given him just weeks prior. About 5 years after that, she came back to purchase another puppy from me and said that he had ended up living for 6 months after starting the NuVet. They were very happy with the extra time with him and their vets were shocked that he ended up living that long as well. My next experience was a personal one. I had purchased a male from one of the top kennels and a very highly respected breeder overseas in 2013. At around 6 months old his hindlegs were much longer than his front legs. Despite being on a measured diet and in every other aspect in good physical condition, his back legs were growing faster than the rest of him. It got to a point where his back legs had started to curl under him and instead of walking on his paws he was down on his hocks, it basically looked like his back legs were skies. In my 30 years of breeding I had never seen anything quite like this, so I contacted the breeder to get some input from her. She told me of some supplements that I should give him that it was likely some sort of deficiency. Only problem was everything she suggested was only available overseas and shipping would take a week or more. I decided to look at NuVets joint supplement, NuJoint, some of the vitamins/minerals the breeder had suggested were in the NuJoint supplement. 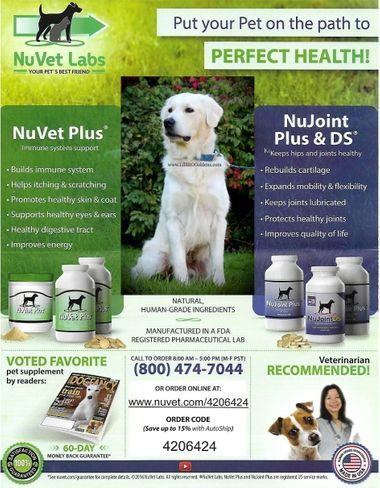 I contacted NuVet to get some input, they suggested giving him 2 NuJoint tablets along with 2 NuVet tablets a day, one of each morning and again in the evening. Within 2 weeks he was back up on his feet and starting to even out. Despite his having recovered nicely and grew at a decent rate from then on, being I had never seen anything like that before, I didn’t want to chance it being any kind of hereditary issue so I retired him before I ever used him and placed him in a pet home. At Lil Bit-O-Golden's, we rarely feel strongly enough about any particular product to give it our endorsement. 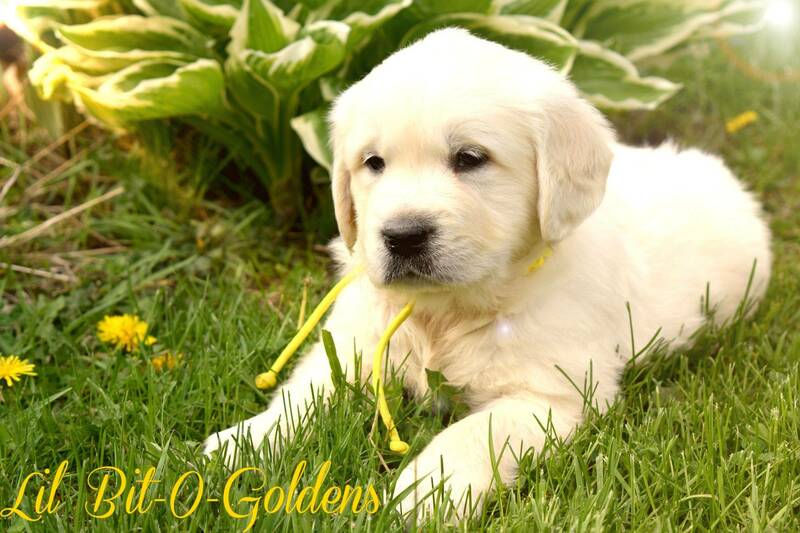 After all, the main purpose of our site is to help you find the perfect puppy for you and your family. The results are fantastic and guaranteed or your money back. Take a few moments now to discover how much better your pet's life can be. Remember that when you fall in love with your puppy, you are committing to keeping them happy and healthy. Dear NuVet Labs, I am writing this letter to express my sincere thanks for your remarkable product, NuVet Plus. I have an 11 year old Rottweiler named Champ. Over the past few years, his health has been quickly deteriorating. Due to extreme arthritis, Champ has had very little energy. Within the past few months, his condition worsened, prohibiting him from being able to eat his food from his bowl. I would have to feed him on a plate, while he lied down. Because of the severe arthritis and lack of energy, I contemplated putting Champ to sleep. As a last resort, I called the breeder I bought Champ from for any suggestions. She informed me about your product, NuVet Plus. We started feeding the wafers to Champ and slowly we noticed an improvement in his condition. After three months on the product, Champ was up and around again as if 5 years were taken off his age. In fact, once in a while, Champ even comes up the stairs in the morning to wake me. I wish I had discovered NuVet Plus sooner in Champ's life. I cannot thank you enough for developing such a wonderful product. Sincerely, Jack P. Salt Lake City, UT "GINGER"